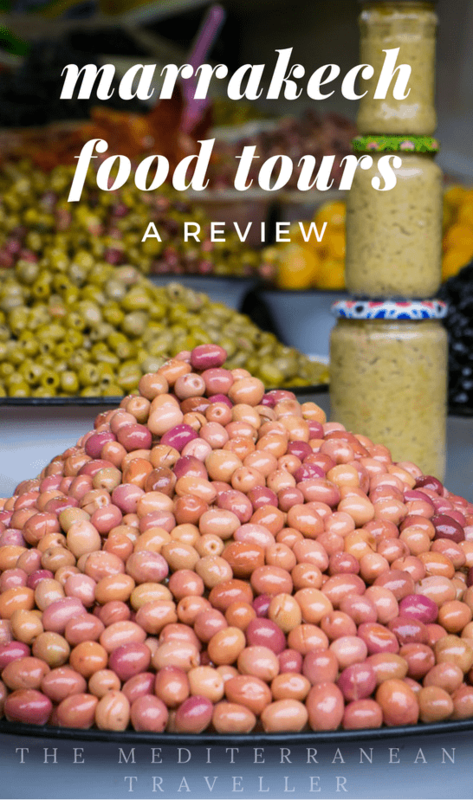 Food tours are increasingly my favourite way to get to know a new place. Wandering around, taking photos, and searching out foods to try are basically my favourite things to do anyway. So what better than a food-focused walking tour plus lots of delicious food? 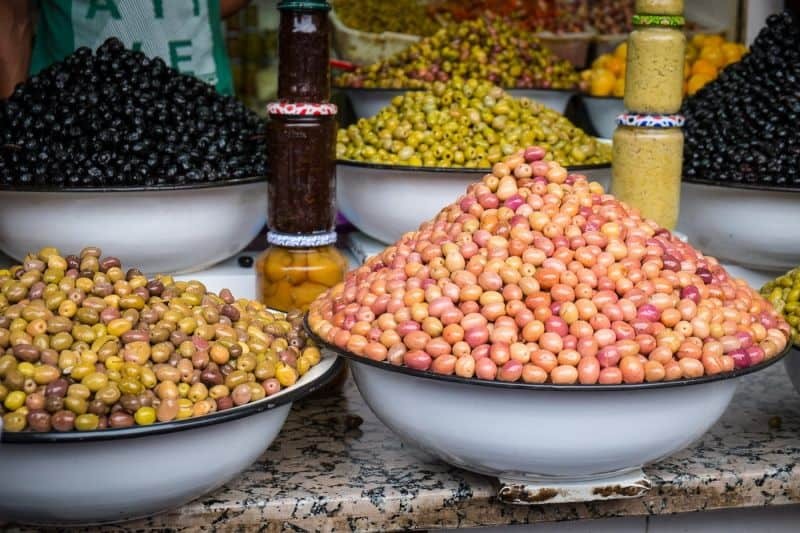 Marrakech Food Tours is run by Amanda – of Moroccan travel blog Maroc Mama – and her husband Youssef. I took the evening tour on the last day of my visit to Marrakech – tactical error! I would have been much braver with food choices during my trip if I had taken it on the first day. The word is clearly out – tours do sell out so I recommend booking in advance if it’s on your Marrakech bucket list. 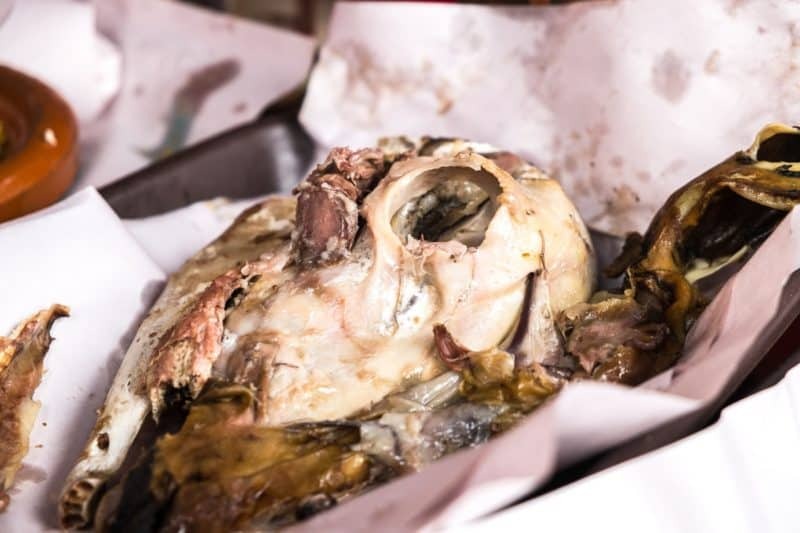 Marrakech is particularly suited to taking a food tour; the culture is unfamiliar, there can be a language barrier, the medina seems made to get lost in, and at every turn, you’re surrounded by restaurants selling overpriced couscous. There are plenty of rewards for the adventurous but it can take some effort to find them. The best guides are good hosts and great storytellers, and the gracious Youssef is both of those things. 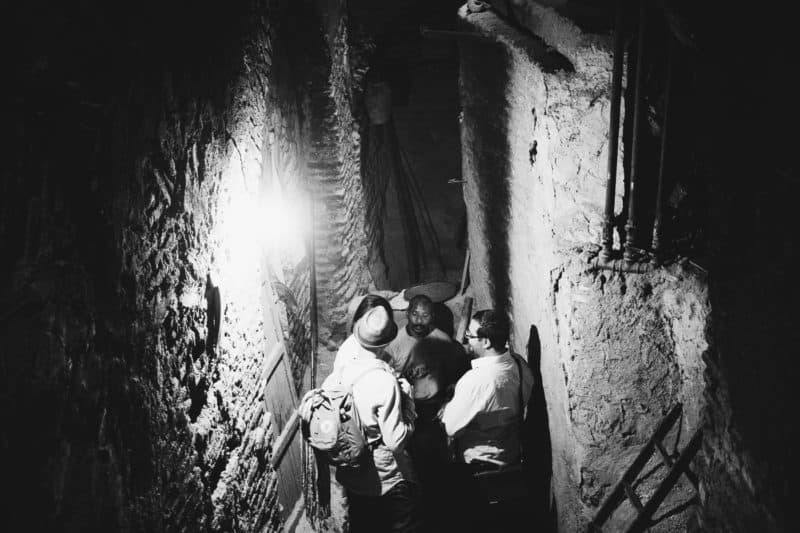 I must admit it was a relief to have someone to guide us around the medina after spending several days getting increasingly lost (sometimes it’s hard not to end up back at Djemma el Fna even if you’re trying to go in the opposite direction). 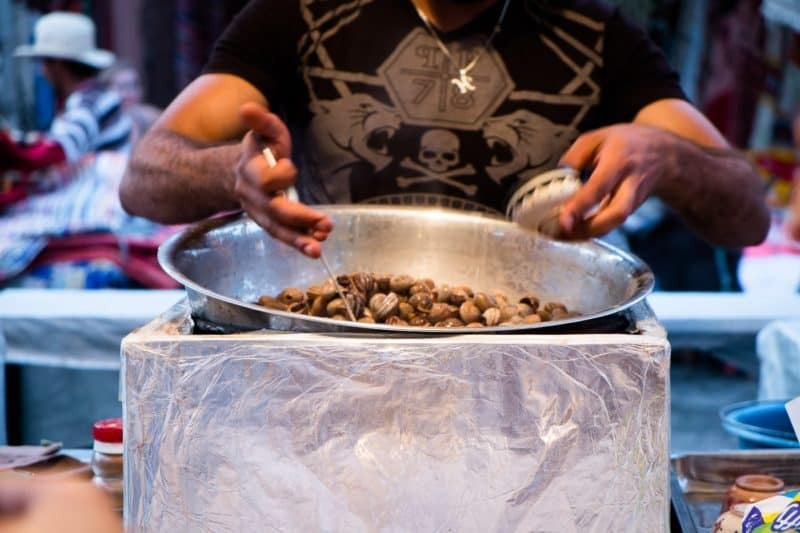 In addition, Morocco’s real food culture is based around home cooking (with a sprinkling of street snacks for the brave) and so can be difficult for the average visitor to access. The tour was over 3 hours long – it’s mark of a good food tour if you can keep going for that long. 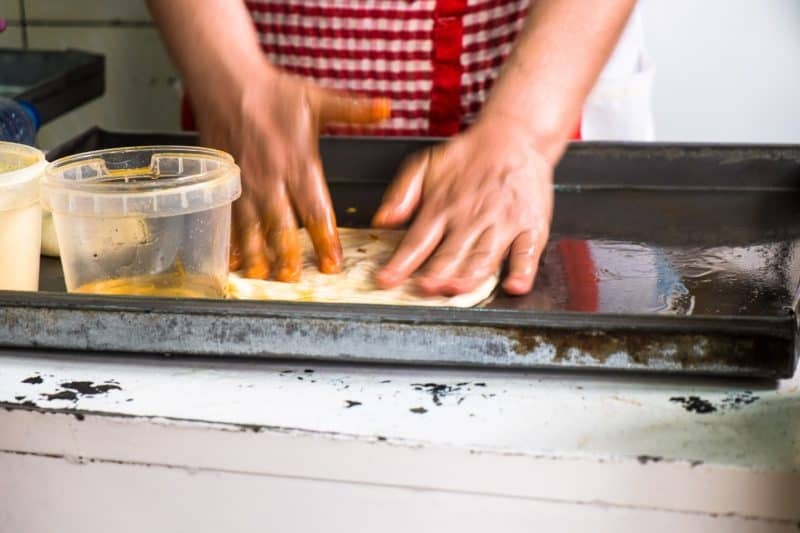 Nobody wants to leave a food tour hungry – this has happened to me before – but equally, you want to have room for everything. Pacing is everything. About halfway through I was doubting my endurance, but with the arrival of a doughnut drenched in orange blossom syrup, I rediscovered my ‘dessert stomach’ and was good to go again (actually I think this doughnut was the best thing I ate in Morocco full stop, I still dream about it). I don’t want to spoil any surprises by detailing everything we ate, but I will say that I wouldn’t have discovered any of the stops on my own. Adventurous eaters won’t be disappointed. To be honest, I umm-ed and aahhh-ed about booking it as it’s relatively expensive for Morocco, but it was worth every penny. It ended up being the highlight of my trip (definitely better than my Sahara trip). 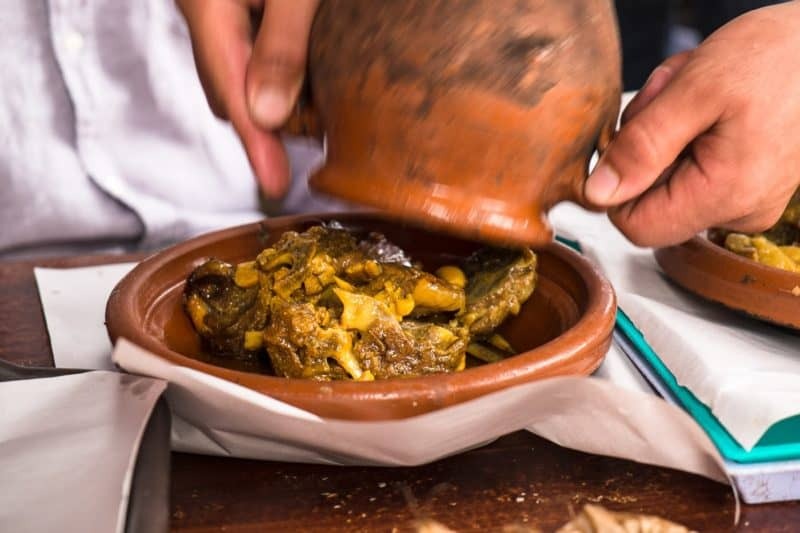 I highly recommend taking the tour when you first arrive in Marrakech – it’s a great introduction to the city and will give you the confidence to go forth and eat boldly.